Click above to join a School Council group singing and dancing to warm up for their Right To Learn workshop. Read inspiring stories of change from a day in the life of our Right To Learn Project here. Our Right To Learn Project is supported by Comic Relief and the Department for International Development (DFID). Click here to watch their new film about the project featuring the powerful story of participant Olivia – sharing how she left an early marriage and returned to school. We have been implementing our Right To Learn Project in Phalombe District since 2017 – working in partnership with Concern Worldwide and the Women’s Legal Resources Centre (WOLREC). Prevalent and deep-rooted issues in Phalombe District include: high rates of HIV and subsequent orphans and child-headed families, school related and community related gender-based violence, child labour and trafficking, child marriage (for girls as young as 12 years old), early pregnancy, low rates of literacy and high levels of poverty and unemployment. With our goal of the empowerment of the most vulnerable and marginalised women and girls firmly in mind, our Right To Learn Project aims to make schools into safer environments for children in Phalombe District – particularly girls. The project focuses on reducing child marriage and early pregnancy and getting girls affected by these issues back into school and learning, and on reducing gender-based violence and discrimination in schools and communities. A group of 10 girls and 10 boys – selected for their promising leadership skills – have become the School Council at each of the 30 schools we partner with. These schools are upper primary schools, which typically accommodate learners aged 9 – 16. 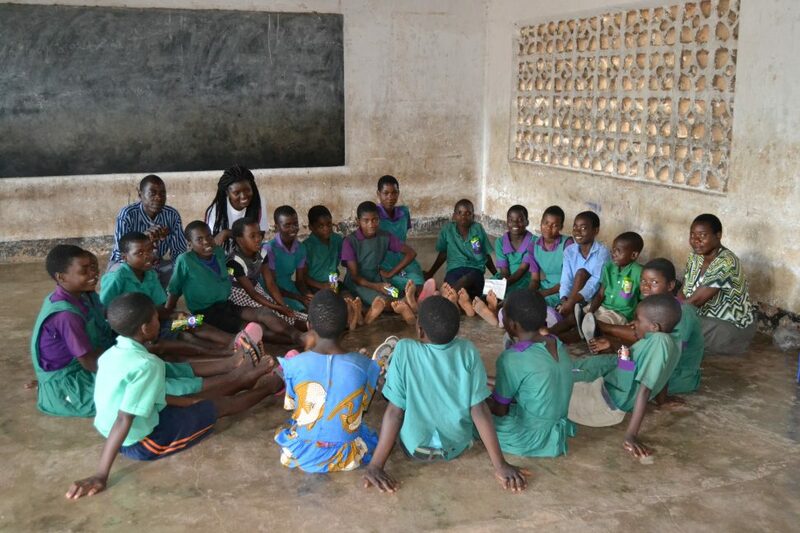 Every school also has a Girls’ Club (some of whom are also members of the School Council) – made up of 40 girls, who are both in school and returning from being out of school. 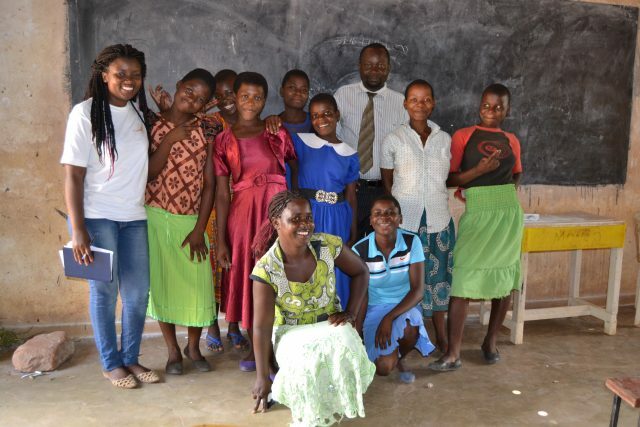 80 girls have been brought back to school to date through the project. A Literacy Club is run for Girls’ Club members to give additional support with their literacy skills. 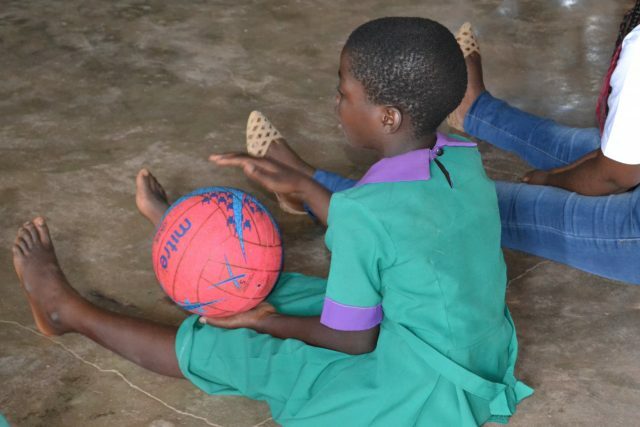 223 girls attending Literacy Clubs were previously unable to read. Due to the support provided by the Literacy Clubs, 160 of these participants are now reading. 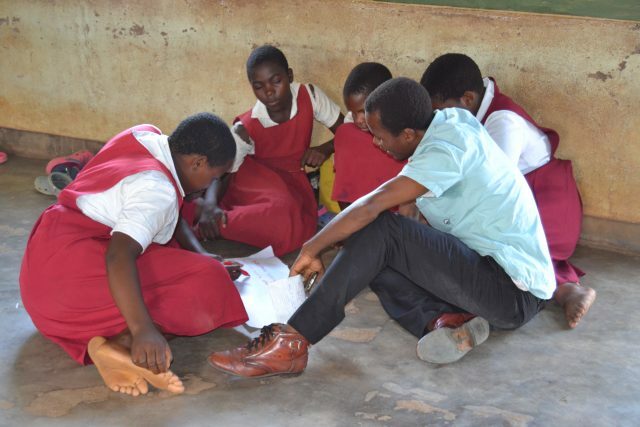 In August 2018, it was announced that Phalombe District had achieved the highest pass rate (93.15%) for the National Primary School Leaving Certificate examinations out of all districts across Malawi. In our 30 partner schools we have worked with 1,115 girls taking part in Girls’ Club, and with 292 girls (some of whom also take part in Girls’ Club) and 304 boys taking part in Student Councils. We provide reusable sanitary pads, in partnership with Afripads, to ensure that our participants can continue attending school throughout the month – as often they cannot afford to buy sanitary protection. We also assist participants with school fees, stationery and school uniform costs – to remove any barriers to school attendance. We have trained a total of 61 adults – teachers and local mothers’ group members from the 30 primary schools to become Agents of Change – the key champions for Right To Learn in their schools. We have also trained all of the Headteachers, and 550 additional teachers, in child protection. 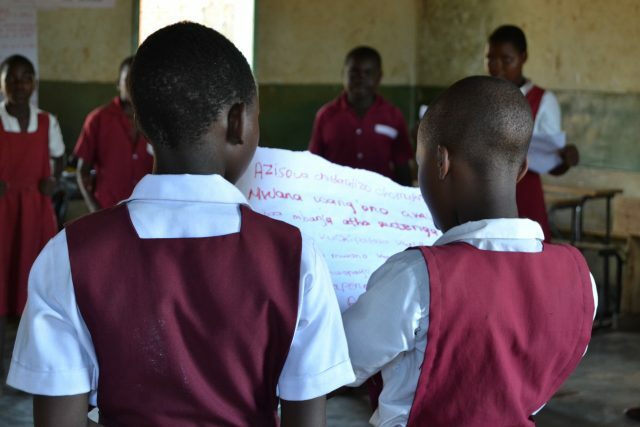 Our training has given the Agents of Change the confidence and skills to implement regular behaviour change workshops for the School Council and Girls’ Club – using our unique combination of drama and participatory learning to empower their learners. These workshops cover gender-based violence topics – such as gender expectations, cultural practices and school safety; child abuse and rights topics – such as child marriage, recognising the signs and consequences of child abuse, and positive discipline in school; and sexual and reproductive health and rights topics – such as contraception, saying no to sexual pressure, and HIV prevention. Agents of Change must be one female teacher (or mothers’ group member if there are no female teachers) and one male teacher for each school, to ensure a gender balance. 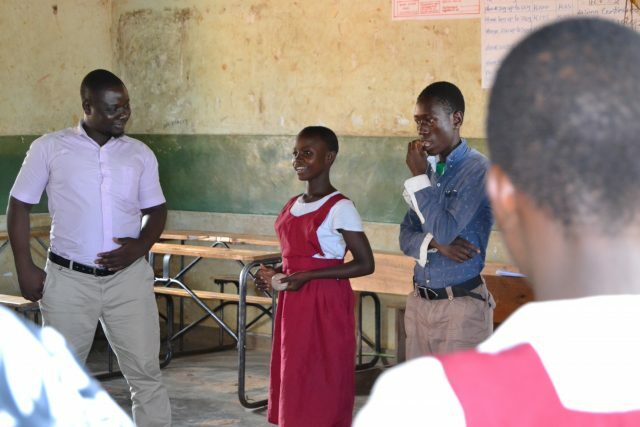 Their workshop participants have become ambassadors for sexual and reproductive health and rights – spreading awareness in their schools on a regular basis, including giving Interactive Theatre performances to their school body and community. Every school has a Community Listening Club too. 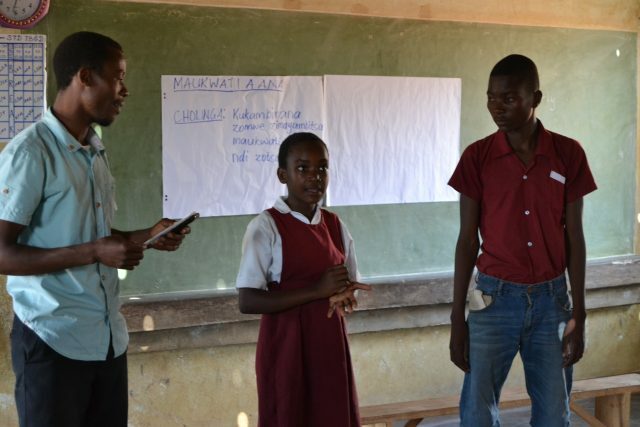 This is made up of Agents of Change, learners and their parents or guardians – who together tune into our weekly Interactive Radio Drama broadcast across Malawi – Tisinthe! – which encourages listeners to take part in exploring issues around sexual and reproductive health. After the broadcast ends, the group will act out the critical moment of the drama together, exploring different solutions by using our unique “touch-tag” technique – participants enter the performance space and take on the character whose situation they want to change. Concern Worldwide and the Women’s Legal Resource Centre (WOLREC) work directly with parents, key community members and duty bearers, who have formed groups in 62 villages across Phalombe District, as well as with the Social Affairs Office and the Police, to actively find solutions to the issues facing children in their communities, to bring girls back to school (including aiming to stop child marriage), and to bring perpetrators of gender-based violence to justice. Village Savings and Loan groups have also been set up to address poverty and unemployment. The Agents of Change and Headteachers work hand-in-hand with these community members and authorities to report cases relating to children in their schools to the authorities, and the Headteachers also log these cases in their school’s child protection record. Our aim is that, with this in-depth training, Agents of Change and communities are empowered to report cases to the authorities on an ongoing basis, and to work together to create safe environments conducive to safe, happy and healthy childhoods, which include access to education.